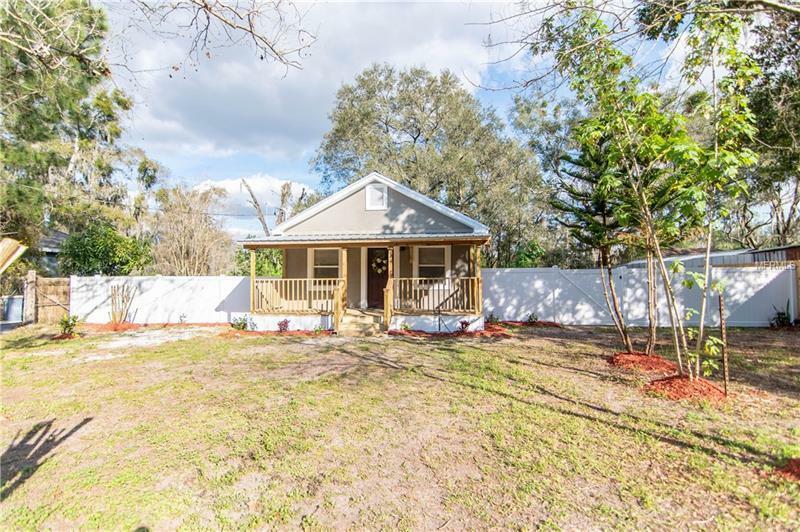 ***** Multiple offers received Highest & Best offers by Monday Feb 18th @ 5:00 PM ***** Remodeled MOVE âIN -READY, 3 bedroom, 2 bath bungalow located next to growing down town Plant City on a very nice 85 x 125 city lot fully fenced. Lovely covered front porch leads to the brand new front door. Waterproof vinyl flooring flows throughout the house. Chefâs kitchen WOWS with white glazed custom crafted mahogany cabinets, quiet close drawers/doors, BRAND NEW Samsung Stainless Steel appliance package with 1 year manufacturerâs warranty, and Santa Cecilia granite countertops with white tile backsplash. Stunning bathroom vanities are complete with high end cabinetry, stone countertops & freshly tiled showers. 26 gauge metal roof, NEW toilets, faucets, lights, fans, door hardware. New water heater & AC with manufactures warranty. Storage shed for all your lawn equipment. Great location with easy access to I-4, NO HOA or CDD!